Super Multi Surface Cleaner With Bleach. 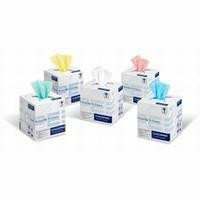 These Abbey Antibacterial All Purpose Cloths are on a roll with 200 sheets in a tissue box style dispenser. Each sheet has a perforated edge for easy tear off and also are available colour coded. These antibacterial cloths are 80% viscose and 20% polyester and 22 x 37 cm each. These cloths are ideal for all your cleaning needs and remember, no dispenser is necessary. Q. Can we choose what colours we want or do we take 6 in the same colour? A. You can request to have different colours if you so wish.